Arts for Our Children, Inc.
Arts for Our Children, Inc. is the non-profit arm of the Davis Center, a professional dance studio. Incorporated in 2007, the mission of Arts for Our Children is to foster dance and the performing arts among young people through instruction and scholarship; stimulate public interest in the arts; and promote and produce dance and other arts productions and entertainment. 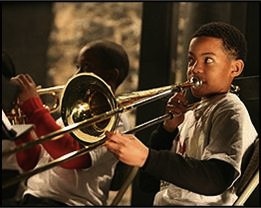 Arts for Our Children provides scholarships for students to participate in Davis Center’s programs and raises funds for the Davis Center’s various performances, recitals and other activities. 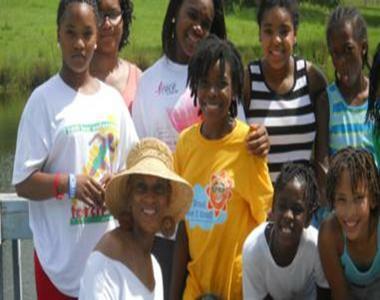 iThings 2 Collard Greens, the summer enrichment camp for girls, has launched an indiegogo online campaign. 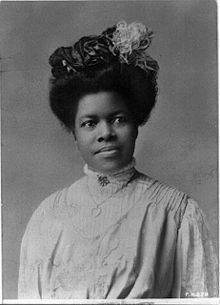 Like Nannie Helen Burroughs did when she founded her school, we are raising money one person or group at a time. Won’t you help us shape, mold and infuse our girls so they can be in leadership and in service. With this campaign have 2 months to raise $6,000.00. With your help, we're confident that we'll reach our goal. Thanks you for your support of this worthy cause. Sponsored by Arts for Our Children, Inc., “iThings 2 Collard Greens” strives to develop the whole girl—her mind, body and spirit. The innovative program features a back-to-basics curriculum that integrates academics and the arts. 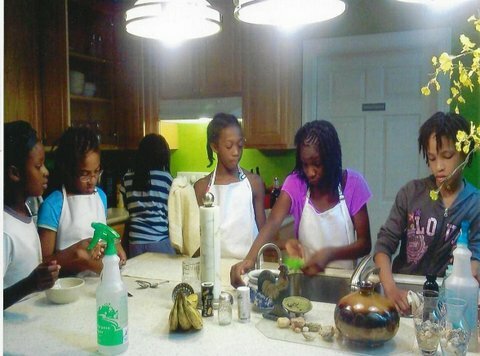 For the past two summers, more than 50 Washington, D.C., girls ranging in age from 5-13, have participated in the “iThings 2 Collard Greens” program. Through the program, the girls have spent 6-weeks experiencing the holistic approach to learning typified by Nannie Helen Burroughs, an educator who founded a school for African-American girls in the District in the early 1900s. Currently in its 44th year, the Davis Center provides instruction in a variety of dance forms, including ballet, modern, tap and hip-hop, and teaches lifelong skills in areas such as etiquette, grooming and dressing. It also sponsors activities that include master classes taught by national and international talent, an annual awards program, and trips to the Kennedy Center in Washington, D.C., and to New York City to see professionally-staged plays and dance performances. The Davis Center aims to instill in its students an enduring appreciation for the arts while at the same time helping them to develop perseverance, self confidence, respect for others and the ability to work as a team. 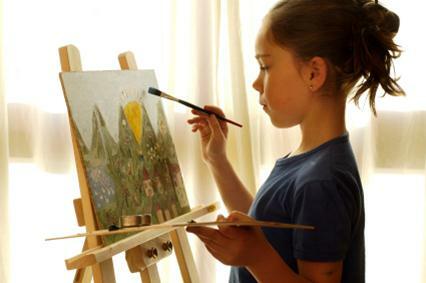 The arts teach and inspire—and they can also serve as a vehicle through which young people can display their talents and develop lifelong skills that can lead to rewarding careers and other opportunities. Arts for Our Children is dedicated to exposing young people to all of the art forms—from dance and music to the visual arts--and helping them develop an appreciation for the role that the arts play in our society and in their lives. But we can't do this without your help. You can support our efforts on behalf of young people by becoming a member of "Friends of Arts for Our Children." Each of these levels have their own rewards, including mugs, tee shirts, invitations to special Arts for Our Children and Davis Center events, and discounts with local businesses.